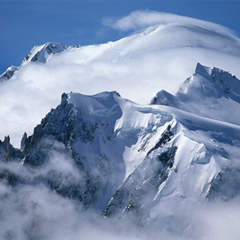 • In the Mont Blanc massif, temperature drops 0.33 to 0.91°C every 100 m in elevation. 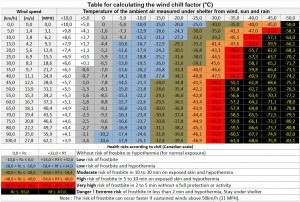 • The feeling of cold is highly intensified by the wind: it is the « Windchill » effect. 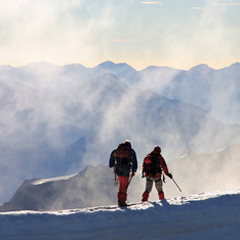 At the summit of Mont Blanc, a temperature of -15°C without wind corresponds to -30°C with a 60 km/h wind. It is imperative to renounce. 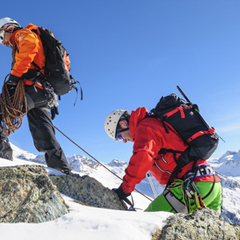 • In case the pace slows down (fatigue, bad weather, accident…) hypothermia quickly occurs. 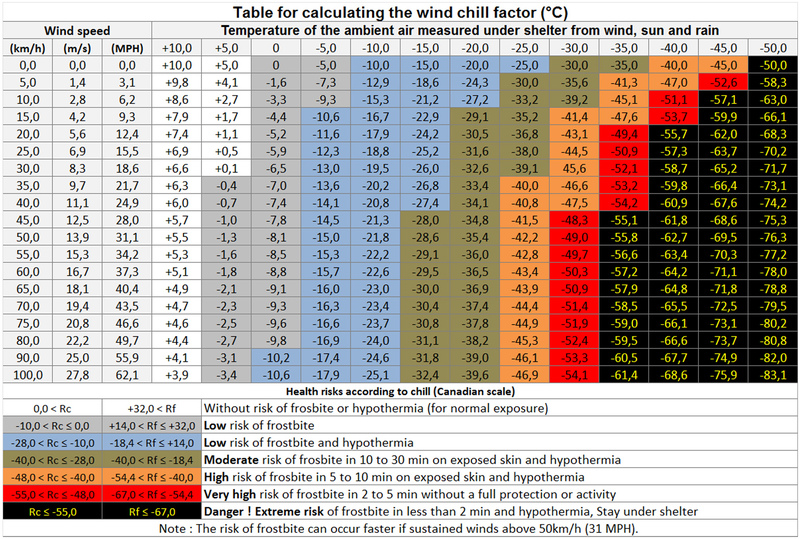 • Be aware of frostbite at extremities (fingers, toes, face, cornea) appearing quickly with cold and windy weather. Deep frostbite with tissue destruction are encountered in hard conditions, hence the interest not to induce some in particular by negligence. 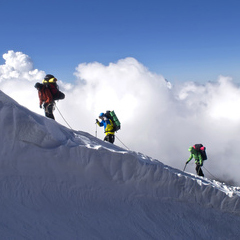 • If cold is associated to high mountains, without wind and when exposed to sun, it may be very warm. Then, be careful of sunburns (even by cold weather! ), sunstrokes and snow blindness.